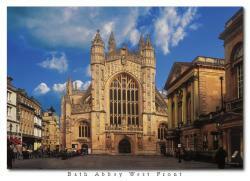 Bath Abbey (west front). A masterpiece in the Perpendicular style called Lantern of the West due to the large windows. 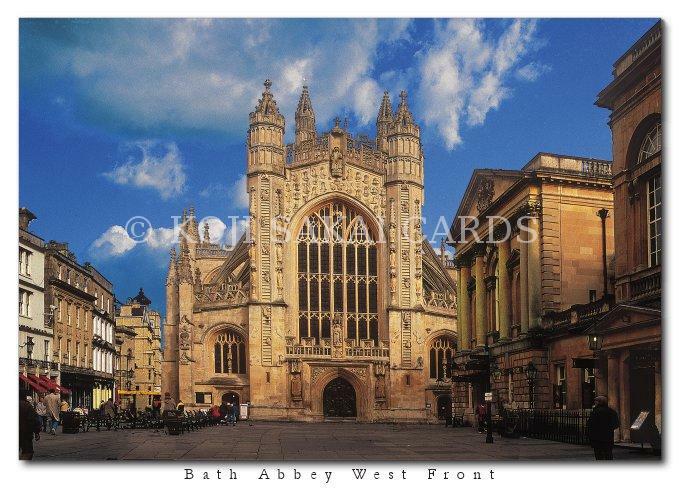 The Abbey fell into disrepair during the Dissolution of the Monasteries in 1536 and was not properly restored until 1616.